The classically utilitarian structure was erected in the 1930’s and served a generation of GI’s as the last stateside respite before deploying to the European theater during the Second World War. Entering the military chapel at Camp Edwards is a little like stepping into a time capsule. 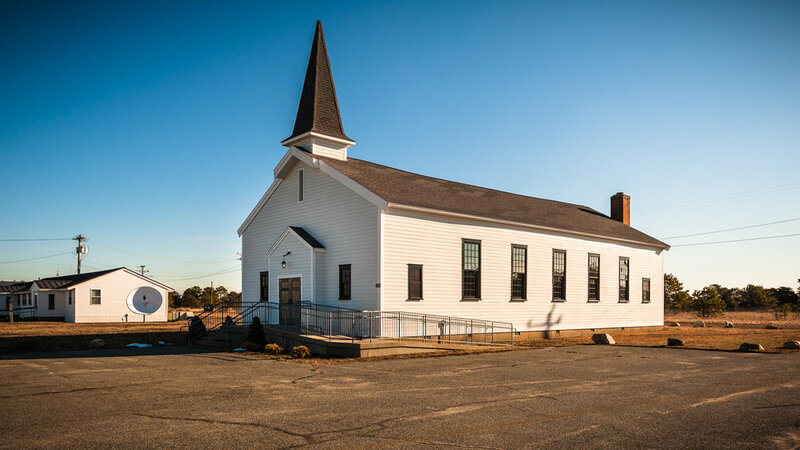 Dark knotty pine wainscoting lines the walls throughout the building, and rows of long rustic benches act as pews in the sun-drenched main prayer space. Vintage black and white photographs of the base and a poster commemorating the flag raising on Iwo Jima greet visitors in the small vestibule. A crucifix rests in a shaft of light on a desk in a small office to one side.